(2014). The Effect of Substrate Temperature and Biasing on Physical-Properties and Corrosion Resistance of CrN/Al 5083 Coatings. International Journal of Bio-Inorganic Hybrid Nanomaterials, 3(2), 81-88.
. "The Effect of Substrate Temperature and Biasing on Physical-Properties and Corrosion Resistance of CrN/Al 5083 Coatings". 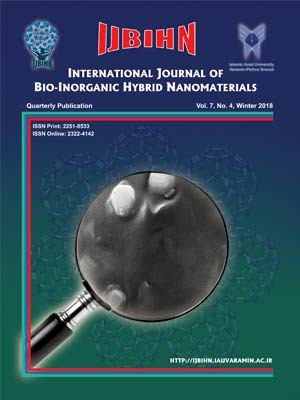 International Journal of Bio-Inorganic Hybrid Nanomaterials, 3, 2, 2014, 81-88. (2014). 'The Effect of Substrate Temperature and Biasing on Physical-Properties and Corrosion Resistance of CrN/Al 5083 Coatings', International Journal of Bio-Inorganic Hybrid Nanomaterials, 3(2), pp. 81-88. The Effect of Substrate Temperature and Biasing on Physical-Properties and Corrosion Resistance of CrN/Al 5083 Coatings. International Journal of Bio-Inorganic Hybrid Nanomaterials, 2014; 3(2): 81-88. Aluminum alloys such as Al 5083 have primary potential for lightweight structural application in automotive and aerospace industries. This paper addresses the mechanical and tribological properties and corrosion resistance of chromium nitride coatings deposited on Al 5083 that can be used for development of applications of aluminum 5083 alloy. The CrN coatings of 1 μm thickness were deposited by DC reactive magnetron sputtering technique on the Aluminum 5083 wafers at different substrate temperatures (RT and 200°C) and bias voltages (-200 and -400 V). A FESEM instrument was used for study of chemical composition, and cross-section and surface imaging. The surface physical morphology of samples was also investigated by an atomic force microscope. The mechanical and tribological properties of the films were measured by nano-indentation and scratch tests, respectively. The electrochemical behaviorand corrosion resistance of the samples were examined in NaCl (3.5%) solution using potentiodynamicmethod. The results showed that the chromium nitride coatingscaused improvementof Al 5083 properties. The results also showed the best mechanical and tribological properties and corrosion resistance for deposited coating at room temperature and -400 V bias substrate voltage. The morphological studies demonstrated that these behaviors were due to the smooth surface with compact and small grains.